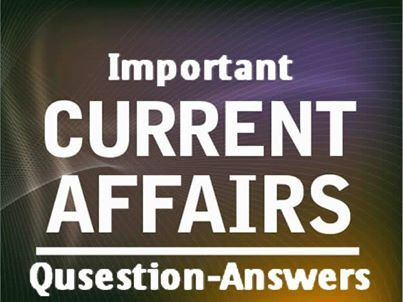 Important Current Affairs One Word Questions and Answers of 2013. Q1. In a recent cabinet reshuffle who has been appointed as the New Labour and Employment Minister? Q2. Recently Bahukutumbi Raman passed away in Chennai. He is a ____? Q3. Recently Tan Twan Eng,the Malaysian author was declared as the winner of Walter Scott Prize 2013 for his English fiction novel___? Q4. Who has been elected as the new President of Iran? Q5. Recently John Ashe in news. He is ____? Q6. “Umeed” a central social welfare scheme for poor rural women launched in which State/UT? Q7. 39th G-8 Summit to be held in which country to discuss the issue of "tax avoidance" by companies in increasingly globalised economy? Q8. Recently Google has signed a Memorandum of Understanding for the first time in India under its Education Initiative, with which State/U.T. of India? Q9. Name the Indo-Russian military exercise is scheduled to take place in October 2013 at Mahajan field firing range of Rajasthan in India. Q10. Who took charge as the Department of Telecommunications (DoT) Secretary? Q11. Recently, Government of India hasinked a loan agreement with which Institution for the National AIDS control Project (NACP-IV)? Q12. What is the code name of the rescue operation conducted by Indian Air Force (IAF) in badly affected area of Uttarakhand and Himachal Pradesh by heavy rain? Q13. In a recent cabinet reshuffle who has been appointed as the New Railway Minister? Q14. Which city is the host of World Economic Forum (WEF) India 2013 meet in November? Q15. Who has been appointed as the Chairman of AirAsia India? Q16. The first ever Chinese Film Festival has been inaugurated in India at ___? Q17. The Indian-born journalist, who has been appointed as editor of a British national newspaper “The Independent” is? Q18. Which state has recently become the first in India to provide tablet PC to ASHA worker? Q19. Which temple in India is set to start FM radio channel? Q20. Name the doctor who recently invented suicide proof ceiling fan?